The following is a post from the "Save the Train" forum which, exceptionally, I have crossposted here. I'm sure you'll understand why as you read it. So much has changed since the dark days when [Save the Train] forum was created. Those were dark days indeed for the TransWilts, with services being slashed back to just two round trips a day on Monday to Saturday, at absurd times as far as the existing user base was concerned, and a ridiculous service of 2 trains northbound and nothing southbound on Sunday. And it wasn't as if those few trains actually ran reliably either; cancellation rates hit 25% at times in the winter of 2006 / 2007, showing up promises that "at least they will be more reliable" to be hollow. In the early days, it was a question of getting a lot of people to email their MPs, their councillors, and the Transport Minister to say "oy - don't forget us - there's a serious case here". And it was quite depressing to see how the requests were skilfully kicked off into the long grass by certain political and commercial operators with far more experience of how to arrange things so that they could mimimise our effect, and maximise the resources available for their pet road schemes, or for their own or a friend's marginal constituency. But we discovered that we were more enduring than the players that we were dealing with; staff at the DfT have remained very much in place over the years, but Ministers of Transport have been and gone more times than I can remember, and we're onto our fourth MD of the train company running TransWilts Services and our third 'general manager' responsible for them. So over the years, our knowledge has grown and with it our abilities to understand the cases better, and to understand the personalities too - what makes them tick, and what brings them onside. Slowly, very slowly, we started to claw back towards an acceptance that an appropriate level of service was a lot more trains than 2 per day. 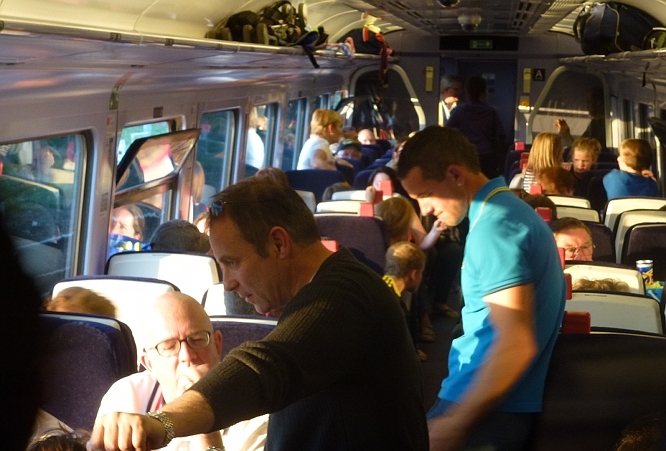 We have been helped - HUGELY helped - by the rise in passenger traffic all across the network. By the growth in the towns all along the route of the line. By the increase in fuel prices, peak oil, global warming and increased road congestion and in the perceived "coolness" of using or promoting the railway that has brought back to people. By many excellent people behind the scenes - working for the rail industry, and public servants too. And by many of the newly elected political representatives, who reflect the revitalised popularity - and sense - of an integrated and effective public transport system that caters for many of the flows. With that change in acceptance, there's a logic in our "poachers" becoming "gamekeepers". Not protesting and sabre rattling, but rather working with all the various parties involved to bring a true and practical solution / service. In practise, of course, the change isn't a sudden one; we had an early success in persuading First Great Western to run an empty southbound train in passenger service on Sundays, for example. But now we have a greater momentum along those lines. 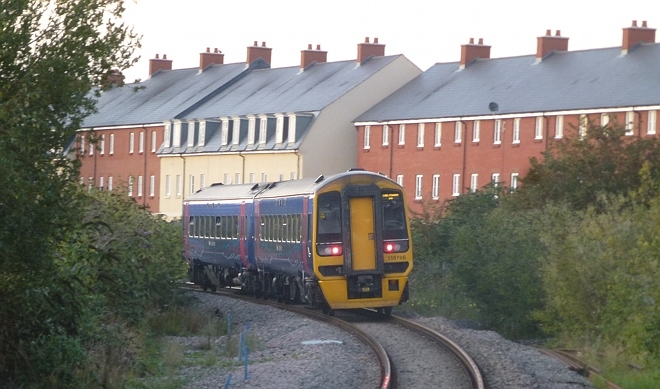 During the summer just gone, First Great Western, the Wessex Association of Chambers of Commerce and their business members, Network Rail, Wiltshire Council, and others worked with us to run an extra train each way early on Sunday mornings. This was the culmination of putting together the true and full case for an appropriate service - five elements being needed - two reports from experts, two surveys, and a practical demonstration that the results were broadly correct. The reports and surveys had come out very favourably indeed for our proposal for 10 services each way per day, but we all knew (and they admitted therein, or in the covering letters) that they had erred on the side of caution. And so it proved when the stra trains ran. I wasn't around myself on 3rd July for the first extra train, but I have pictures (from a very good friend and supporter) showing it was well used. We anticipated an initial interest and takeoff, followed by a settling back to (or towards) a steadier level - but that didn't happen. It grew and grew. 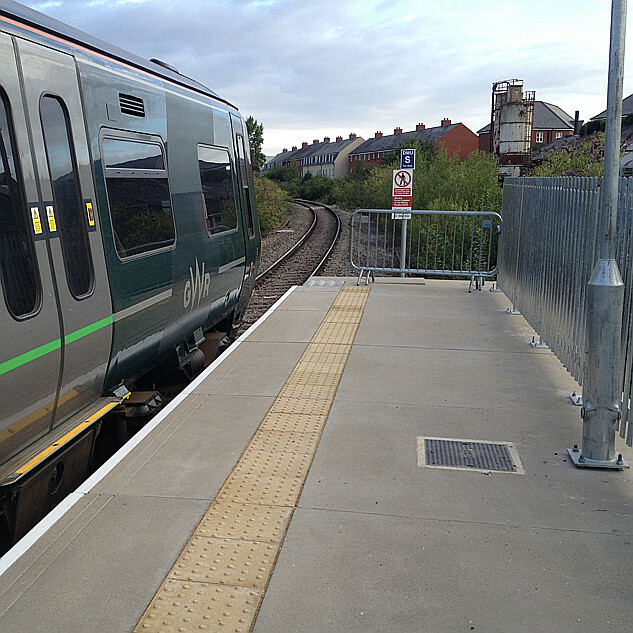 Plans were changed to provide a longer train (and platforms at Weymouth had to be shuffled to fit it in). And we stopped the extra advertising and promotion we had planned. We were in danger of having people left behind in the morning, and indeed on return trains in the evening we were taking extra measures in order that the critical TransWilts train could actually cope, including even taxis and a standby bus! But - as well as the service success - was how well we were able to work as the TransWilts Community Rail Partnership - with First. Ten different people from the group travelled on the train at various times, helping and informing people who hadn't travelled by train for years - making sure that everyone knew which was the right train back (and which carriage to sit in as the train divided on the way, and some stations have short platforms). Not only did we fill our extra train in the morning, but we filled the return train in the evening, and two of the trains that would otherwise have been quite quiet on the Heart of Wessex line. So we're very much "in the fold" now - gamekeepers ourselves, looking to promote existing service on the network as a whole and on our line, as well as enhancing them ... and working well with all official organisations / groups. These are the requirements to become all the more mainstream - to join the Association of Community Rail Partnerships. The return train was busy - even with our other measures. Whole train and lobbies like this! Of course, it's not all about giving thousands of people a great day out in Weymouth, heartwarming though that is. It's also about getting Robert to work in Swindon, Clarrie to college in Chippenham, and old Mr and Mrs Brown to Southampton to spend the week with their daughter. And about getting visitors into and around Wiltshire - not just to the railway stations, but to their destination. 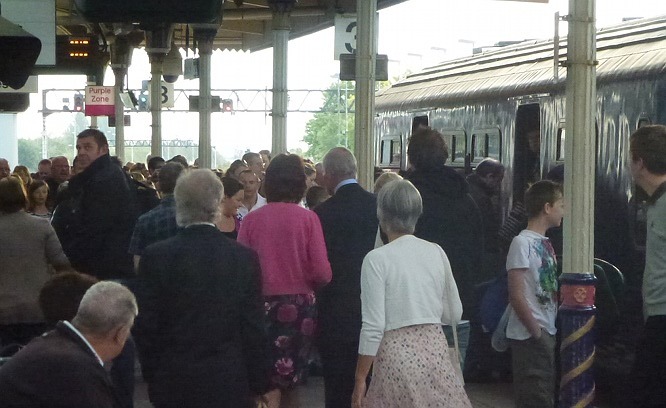 One of the less visible, but highly significant, things we saw this summer was the number of people using our extra train the other way - the 07:30, Sunday, Westbury to Swindon, with London connection. Up to 68 people. Some connecting far afield. Some on London day trips. Some - even at that time - on business. Many of them having found the train on the National Rail site, all of them delighted, and most disappointed that it wasn't going to run beyond the end of August. So - where now? A fresh franchise awaits. Our case must be to ask for the level of service on which so much work has been done - nothing else would be logical as it's an APPROPRIATE service. And then we should be carrying on to ensure that service level works well, succeeds, and is retained. Everything says it should - but we need ears to the ground, people giving us feedback, and doing those little things that bridge the gap between trains running and a train service for customers. "Save the train" has helped get us where we are today. Without the help and efforts of so many (I'm tempted to name people, but wouldn't know where to draw the line) here, we might well have had busses now. But we should move on - almost entirely the same people - as the TransWilts Community Rail Partnership. The TransWilts web sites are at http://www.transwiltsrail.org.uk (passenger / public) and http://atrebatia.info (Community Rail site). And we're also running - on this same server - the Coffee Shop forum at http://www.firstgreatwestern.info/coffeeshop/ which dwarfs this forum now. So it's time to turn off the light on "Save the Train" - but let the resource remain as a truely useful archive as we more onwards, forwards, upwards. "Save the Train" was retired a while back ... and has been running as an archive since. However, with the moments events of last Sunday, I have added an update ... at http://www.savethetrain.org.uk ... and it feels such an age ago. ^ To support the rail industry and Government in making that service work, so carry on. And so we are far from finished. We're simply into phase 4 - and can I say what a delight it is to be working so closely with the rail industry and with local and regional government in order to carry on moving forward. Congratulations to all especially Graham. The perseverance served as a message that the issue was not going to go away. I'd like to add my personal thanks to Graham Ellis here, too. I joined the Coffee Shop forum back in December 2007, when I was becoming particularly disappointed with my own local train service, and I wanted to 'do something about it'. Graham's online presence, both here and on the sister 'Save the Train' forum, inspired me to become a fairly active railway campaigner - and I would like to think that we've been fairly successful in improving matters, since then. The impetus of the original 'Save the Train' campaign is clearly continuing - and indeed it seems to be building up a fair old head of steam, with the now very much improved train services along the TransWilts line through Melksham! Like Chris has said below I would like to congratulate and thank Graham for all his hard word along with many others on getting this service back up and running after what happened all those years ago. I have been trying to get ATW to improve the service level at Pyle off peak which ahs a poor 2 hourly frequency apart from on saturdays in which some of the Milford Haven/Carmarthen services call on their way eastbound although the situation doesnt happen westbound. 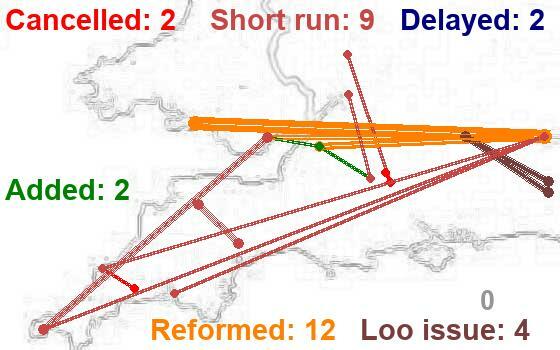 With the amount of time the trains sit at Swansea or Cardiff Centrl I have been trying to get ATW to stop the majority of the Manchester services at Pyle off peak allowing the 2 hourly swanline service to be sped up by running non stop between Port Talbot & Bridgend thus reducing journey times and making it more attractive to passengers. Pyle has now become a railhead for the town of Porthcawl as well as to surrounding villages, housing estates and even to Margam since Pyle has free car parking compared to Port Talbot Parkway and passenger numbers have continued to rise sharply especially when services have been improved. Thanks, folks ... or course WE - that includes you and many, many, many, many others - wouldn't have got to this point if we hadn't supported one another, and if we hadn't had a case that was incredibly difficult to refute. a.k.a. - the TransWilts was a clear candidate for improvement through many, many measures. TransWilts (and “Save the Train” before it) is all about teamwork. So although my name was in the limelight on Thursday, the real thanks it to all of you who have supported me. This message is a big THANK YOU to you and … ever on topic … to say we may have done well here, but this is a milestone and we still have destinations ahead of us. I look forward to working with everyone as the service and wider public transport goes forward in Wiltshire. 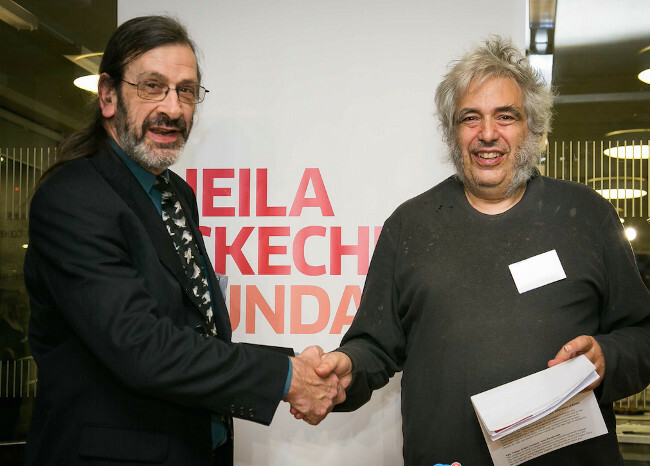 And Grahame has omitted one vital piece of information, which was that he was indeed the winner of the Transport Award. Many congratulations Grahame! ... and, as well as offering our collective congratulations, grahame, may I suggest that is probably the only occasion on which I have seen you wearing a traditional 'collar and tie'! He's been known to borrow a tie before now! As you'll have gathered, that's me dressed up a bit smart. 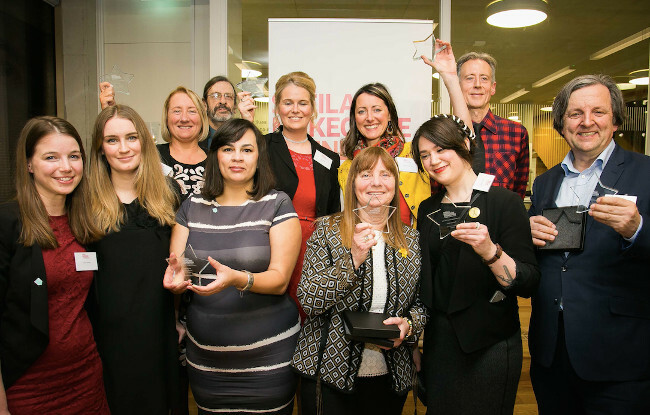 The award was made by Simon Norton - who you can learn a bit more about here. I am so pleased that it has progressed so well, and I feel honoured to have spent a little of my time a couple of years ago which may or not have helped it along. You have done a wonderful job Graham, and I hope that you can keep up the good work for many years to come! Alan, it was / is a pleasure to have your help along. Getting the literature our door to door - with you and Lee doing the lion's share between you - gave us that vital early passenger boost as the new service started. I know how tiring door to door can be as I did a little.